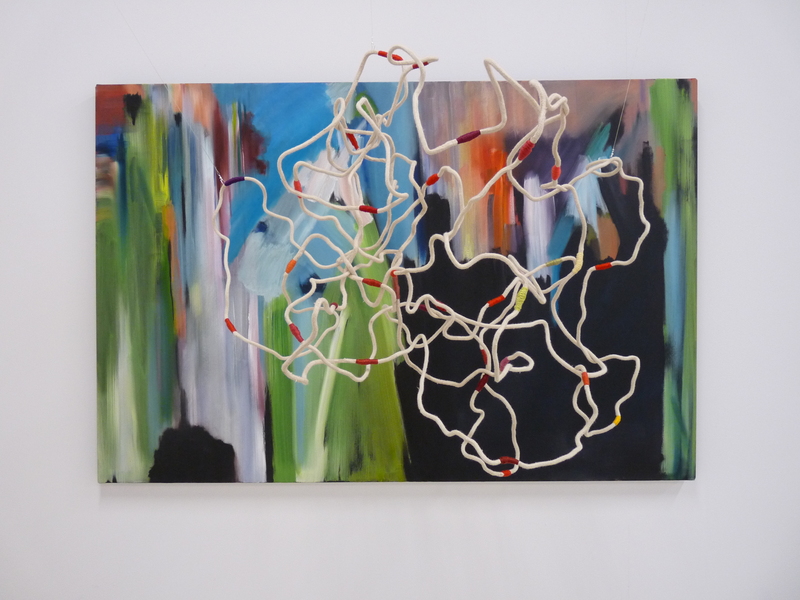 This painting/sculpture explores the interaction between 2 dimensions and 3 dimensions. Coloured wrappings on the sculpture cause the viewers eye to move back and forward across both dimensions. The aim is to interfere with the way the viewer regards the work resulting in an alternating sense of movement and stillness. © Rachael Jean Polson and http://www.rachaelpolsonartist.wordpress.com, 2010. Unauthorized use and/or duplication of this material without express and written permission from this blog’s author and/or owner is strictly prohibited. Excerpts and links may be used, provided that full and clear credit is given to Rachael Jean Polson and http://www.rachaelpolsonartist.wordpress.com with appropriate and specific direction to the original content. Welcome to my blogsite. Please do scroll through to see all entries. Click on the images to enlarge them for a better look!